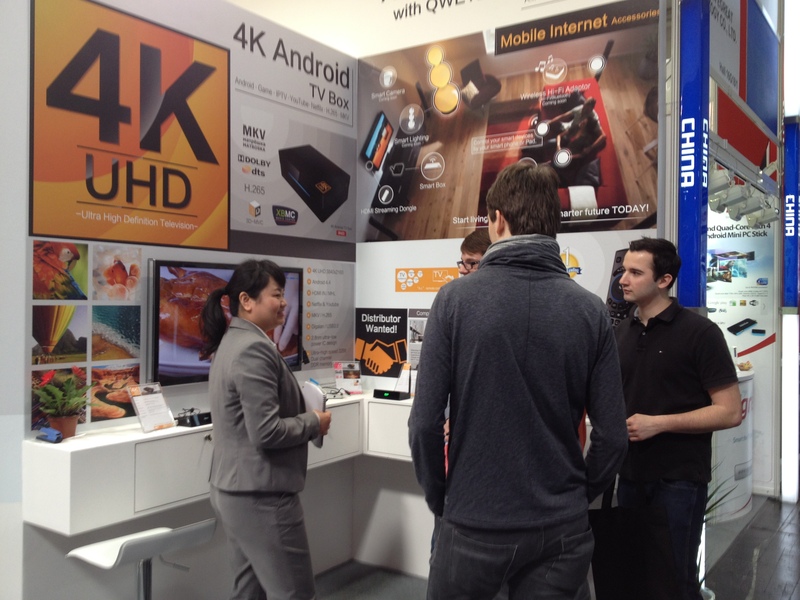 From March 10th – 14th, 2014, CeBIT as one of the largest consumer electronic trade show in the world, grand open in Hannover, Germany. 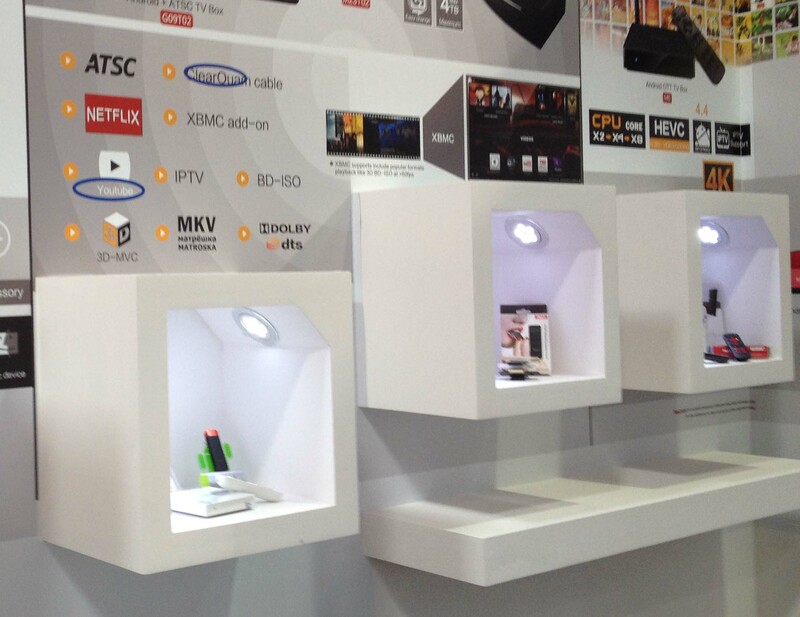 As one of the leading company in Full HD multi-media players, Smart TV Boxes, and Mobile gadgets, Shenzhen MeLE Digital Technology Ltd., brings their latest product development to showcase their audiences came from over 80 countries all over the world. 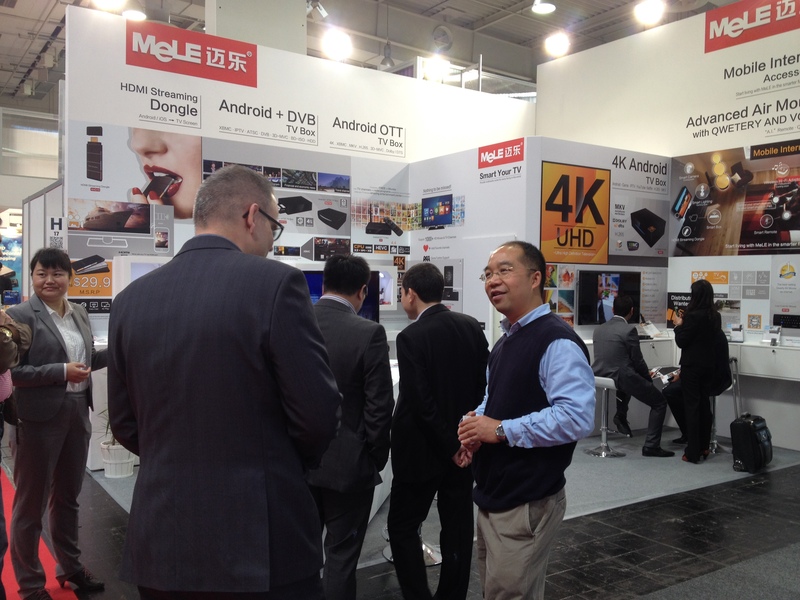 Tocomply with the increasingly stringent quality requirements of consumers and the development of 4K UHD TV,Shenzhen MeLE will introduce the 4K UHD mediaplayers that can support latest 4K UHD H.265 decoding and output,alsosupport the hottest selling features like XBMC/BD-ISO/3D-MVC/Dolby/DTSplayback with True HD pass thru in 5.1/7.1 channels,etc.Customers canenjoy the theater-like level of entertainments at the comfort of theirown home like never before. Due to the ever growing mobile internet users, another latest Hot mobile gadget that Shenzhen MeLE brought to the show is MeLE MeCast Dongle. This dongle has tempting appearance like a Chocolate bar. It can share Full HD 1080p Video/Music/Photo/Office Document/Web page/Camera from smart phone/Pad/PC/Projector to TV. This small in size but BIG in features dongle not only support the more popular IOS/Android platform, but it has also smooth support for PC/Laptop users in Windows/MAC OS environment. So, it is also very convenient for your business traveler who is on the go and share contents across the boardroom wirelessly. Be sure not to miss this tempting chocolate bar whether to share your dearest moments from your Smartphone with your sweeties or sharing office documents from your PC/MAC laptops with your business associates. Shenzhen MeLE Digital Technology is a global leaderof internet High-definition multimedia terminals and system solutionprovider.MeLE advanced products are sold in over 80 countries in theworld. : Globalsource China Sourcing Fair will be held in 2 Weeks!